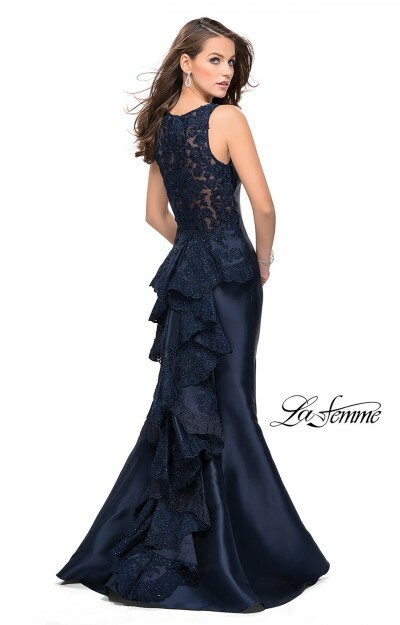 GiGi Prom is a division of the ever-popular and always stunning La Femme formalwear line. They take a bolder approach on patterns and designs but with the same fabulous fit and construction that has made this brand a front-runner in the formalwear industry. GiGi dresses are tasteful and elegant but with a flare that is more mature than some of the styles in the La Femme prom collection. Among this line you will find an open back, higher slits, heavily beaded dresses and funky prints. 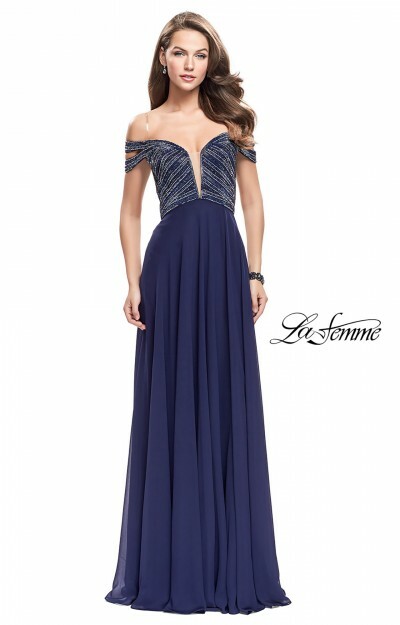 These modern and trendy dresses come in the same spectacular array of colors as the original La Femme prom line but offer more mature looks and form fitting designs. The attention to detail and hand crafted beadwork on these gowns is beautiful and high quality. This is what sets this brand as a whole apart from many other brands in the industry. Using the best materials and keeping in tune with the hottest fashion trends, La Femme does not disappoint with their fabulous GiGi collection. 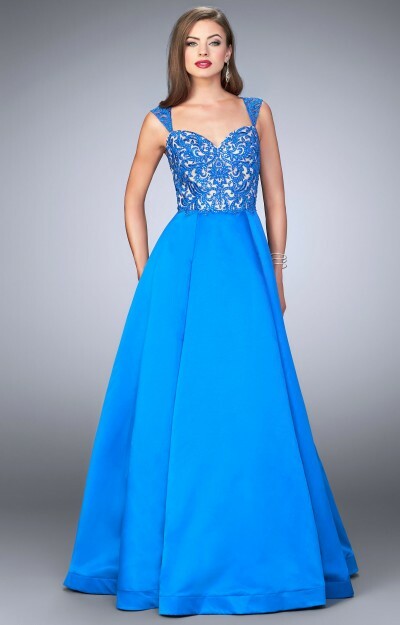 A dress from this assortment can be worn for all sorts of special occasions including prom, pageant, sorority or fraternity formals, cotillions and debutante balls, as well as formal fundraisers or galas. Like all dresses by this designer, styles in the GiGi collection are designed with the modern girl in mind. Styles to flatter girls of different shapes and sizes can be found in this collection and with many evening dresses available in several different colors and a wide range of sizes, you have so many stunning gowns to choose from. Be sure to ask if the gown you love comes in different color options. These dresses are commonly seen in colors such as blue or black and in styles from a halter neckline gown to a two piece jersey number. 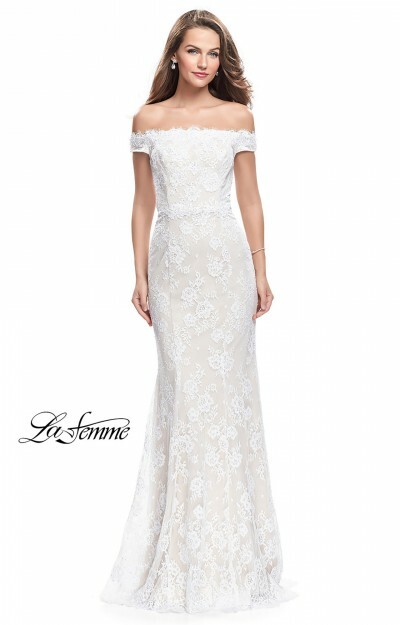 We would be happy to order a gown for you and based on availability, many dresses from this collection can be special ordered in time for your event! 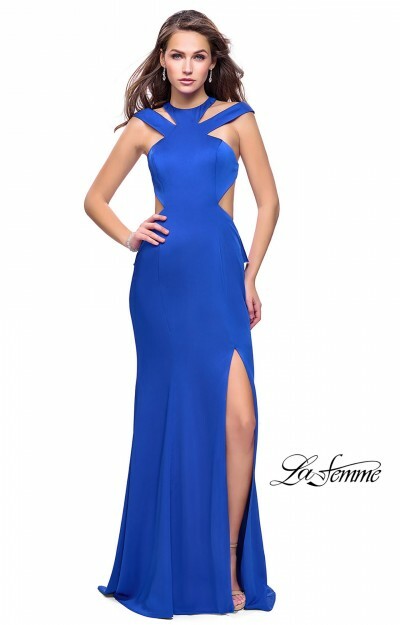 GiGi prom and homecoming dresses are some of the most asked for styles here at The Castle. See for yourself why this brand has become a respected name in the business and some of the most sought after dresses on the market! Browse below to find a style that suits you! © 2019 The Castle Prom And Bridal, all rights reserved.